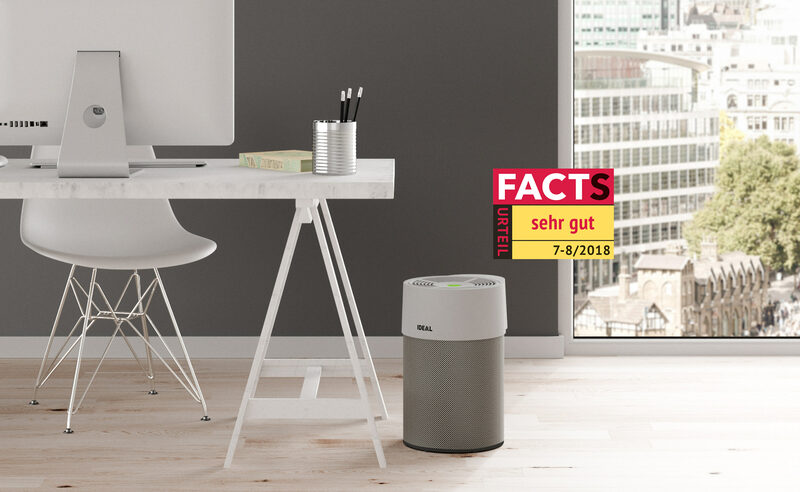 This title accompanied the product test report published by testing and business magazine FACTS in its 7-8/2018 issue, in which our IDEAL AP40 PRO high-performance air purifier was put through its paces. The IDEAL AP40 PRO was assessed not only in terms of its effectiveness, but also its operation, safety, look and value for money, and scored an overall rating of "very good". "The AP40 PRO has demonstrated that it performs well even in our extreme conditions. We were particularly impressed by its ability to turn the print and server room into the purest environment in the publishing house. FACTS can highly recommend the air purifier for use in spaces where clean air is compromised."